San Andreas, Where Are You? I spent a week in LA in 1978. With every real or imagined rumble, I was certain my life was about to come to a devastating end at the hands of “The Big One.” Since then, having travelled all around the western US to get up close and personal with geologic history, I’ve gotten to be pretty geek-ish about geology. I’ve even survived a couple of gentle quakes, living in a mild earthquake zone as I do. Instead of the fears of the past, I find myself wanting to see as much of the reality of the two troublesome California plates as I can. 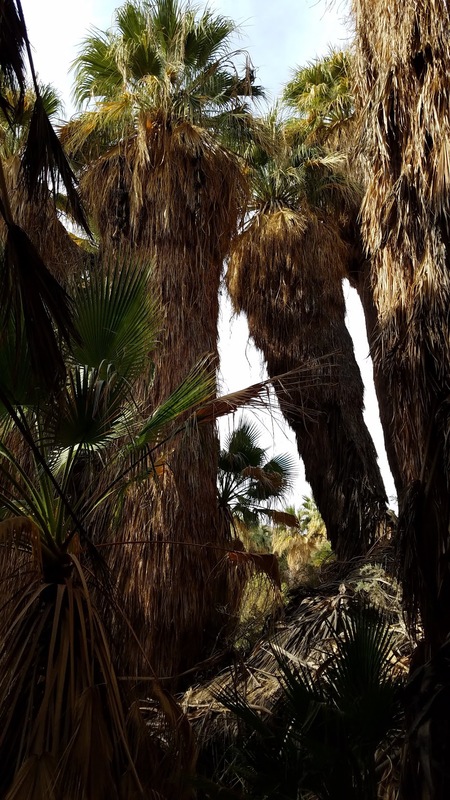 A recent trip to Palm Springs had us walking around in the desert with a smartphone and a tablet trying to match picture to real evidence so we could find and experience the San Andreas Fault. For the most part, it was pretty unremarkable. 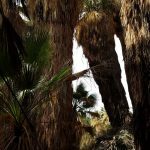 Photographs showed us the fault going straight through the town of Desert Hot Springs with nary a visible trace; homes and streets lay right on top of the fault itself! The wash we wandered likely followed the fault line’s low point, so while we didn’t see anything that actually confirmed we were on the fault, we found some pretty cool evidence of long-ago earth movement. The rock to the right is gneiss (pronounced “nice”), a metamorphosed granite that likely lay deep inside the earth when things began to move around causing the grains to slip into visible layers and the layers to fold under intense pressure. This photo is a great illustration of another formation in the making. Here you see lots of “smallish” rocks of all types clumped together next to a past rush of water. 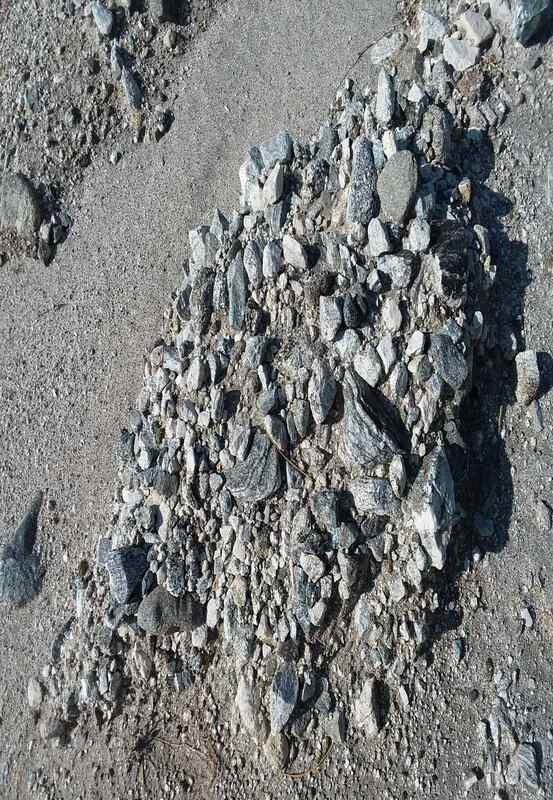 The sand in the streambed is fine-grained, and, if you look closely at the clump of different rocks, you can see that fine sand has filled the spaces. If this clump found itself covered with thick, heavy layers of dirt, sand or more rocks, the cemented result would become a conglomerate or breccia. 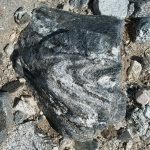 This day, we had to be satisfied with the evidence of weather on the surface rocks and long-past metamorphism deep inside the earth. For now, this was enough. Not to be deterred by the unremarkable views of the San Andreas, we started out for the Cochella Valley the next morning. An entirely different bit of evidence awaited us there. You see, when fault action occurs, it allows underground water sources to bubble to the surface. As we drove through the valley, the oasis ahead was unmistakable. 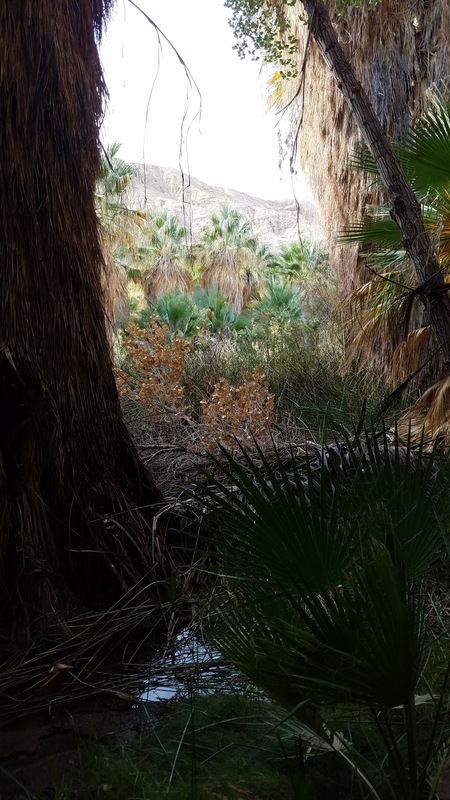 Here, in close quarters of about 80 acres, grew the tall Thousand Palms Oasis. 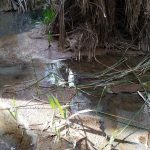 There was no mistaking the ground water came from seismic activity: the sulfurous smell was a dead giveaway. 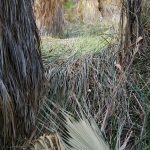 Out of the mucky earth were literally hundreds of huge, old growth palms and salt grass. 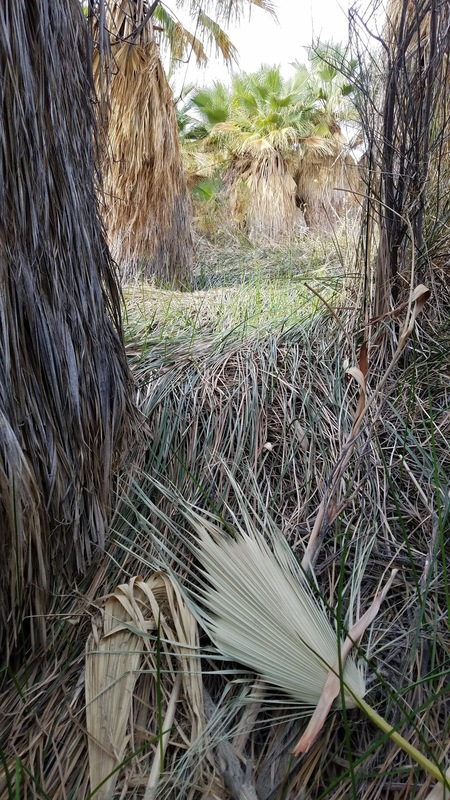 An unexpected flood that came through less than 4 weeks ago, California’s experience of Hurricane Willa that hit the western coast of Mexico as a category 3, had done visible damage to the low-lying trails and had flattened the 6-foot grasses into swamp cover. Along the boardwalk through the swamp, though, new growth was already about 2 feet tall and a testament to the tenaciousness of Mother Nature. I thought of Lynn Margulis as we walked. Posthumously, through the documentary Symbiotic Earth: How Lynn Margulis Rocked the Boat and Started a Scientific Revolution, Lynn taught me the significance of bacteria, inspiring a sense of wonder and awe for its contribution to all of life on the planet. 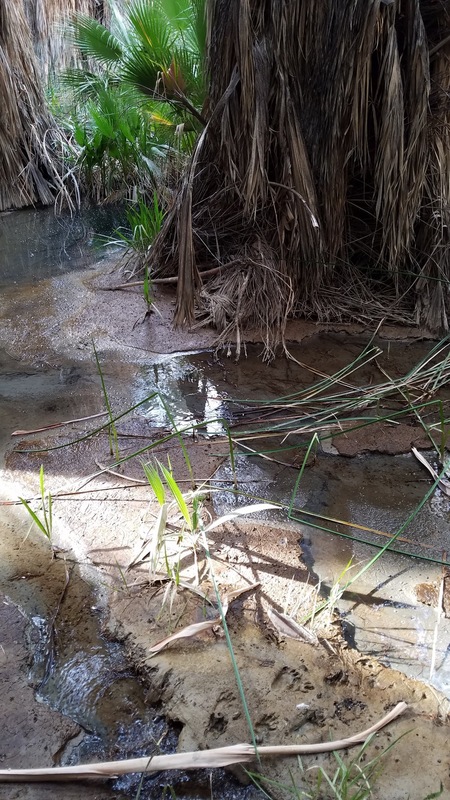 Here in the desert, a different sort of bacteria, still cyanobacteria, combining with lichen and microfungi, form the fragile cryptobiotic soil crust that keeps our desert soils growing in place, protecting the surface from wind and water erosion. (More on that here.) Lynn’s passionate respect for bacteria’s cosmic task has given me a new vision when I come upon its work. 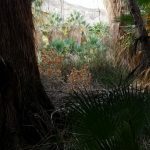 The grandeur of the palms, the odor of the water, the tenderness of the soil made this a special day connecting with the San Andreas. Thank you for not being as I expected; you shared a far more magical glimpse into your existence. Teachers and Parents: Here’s a lesson to help you share your interest of plate tectonics with the children in your life. It requires very little special equipment and the demonstration is a yummy treat! Have fun! 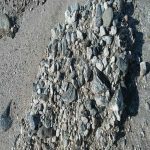 This lesson is one of a group of lessons on faults and plate tectonics in my Get to Know Rocks and Minerals curriculum e-book. You can purchase it in its entirety here. This entry was posted in Uncategorized on November 24, 2018 by Doug Mann.